Application deadline: November 30 /June 30. The main aim of the Informatics Bachelor’s degree programme in Informatics is to prepare highly qualified informatics specialists with a focus on software systems, computational science, and smart systems development areas that meet the requirements of the modern knowledge-based economy and the high professional standards in the field. 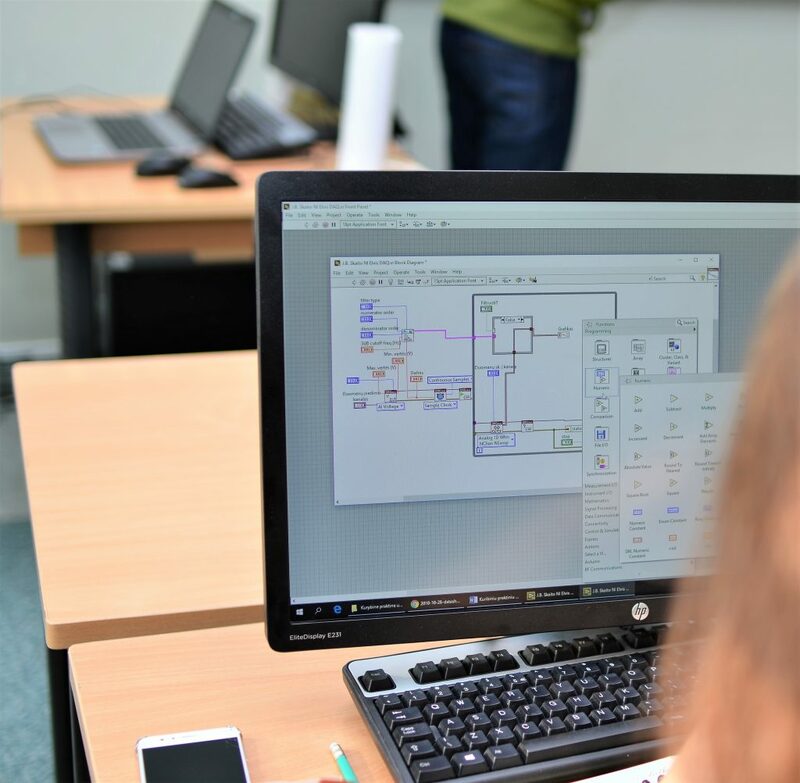 The students of the Informatics study programme have the opportunity to choose one of two specialism areas: Software Systems Development and Smart Systems Development. The Software Systems Development specialism focuses on extensive exploration of software engineering processes and the methods of their implementation, programming languages and platform- specific development, operating systems, web and mobile applications, information security, databases, system analysis, and design principles. To complete the Software Systems Development specialist, students are enrolled in six courses: four core courses and two electives. Graduates of this specialism will develop a solid understanding of the software development life cycle, including testing and verification, documentation, and revision control, all of which are needed to take software projects from conception to delivery. The Smart Systems Development specialism focuses on enabling technologies and design methodologies for computing systems, which are embedded as integral part of larger systems designed for specific control functions of devices with various electronic and mechanical components. The core topics span automatic control, embedded systems, signal processing, real-time operating systems, and implementation of embedded systems. To complete the Smart Systems Development specialism, students are enrolled in six courses: four core courses and two electives. An important goal of the specialism is to provide students with the ability to write embedded software in a range of development environments and programming paradigms. Graduates of the specialism will be specialists in the field of smart systems, capable of developing embedded solutions for new challenges in the cyber-physical systems and internet-of-things domains. The internal and external relations of the Department of Informatics and Statistics and the Informatics Study Programme are quite intensive and still expanding. Being the main IT-related academic division in the Western Lithuania Region, the Department is closely collaborating with the Klaipėda Science and Technology Park (KMTP), regional enterprises, and IT companies and is taking part in a number of joint projects. Besides the large IT and software companies that have established their branches in Klaipėda, a number of new international and local IT companies appeared, the majority of them established by the graduates of the Informatics study programme. Statistical data collected by the University Career Centre also indicate that our graduates have the highest employment rate in the whole University (exceeding 96%). Moreover, it should be noted that employers prefer graduates with deep fundamental knowledge, strong practical skills, and a broad world outlook.